Do we need any more research confirming that we are VERY distracted As a culture? Do we need more experts warning us about the danger of being constantly wired? Do we actually need someone to tell us that being distracted hinders students from learning? I am convinced that we need to hear more about this for several reasons. First, the situation isn’t getting any better. 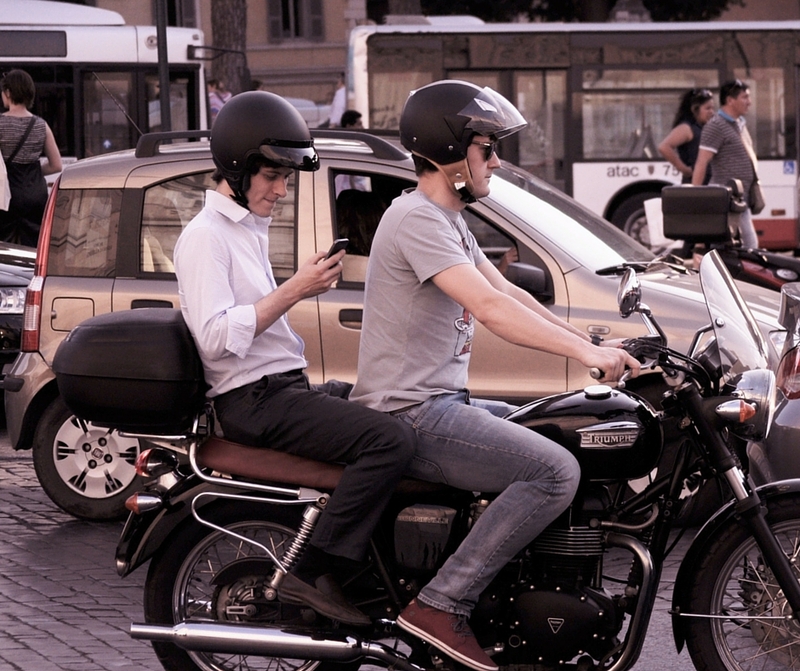 Mobile devices are now universal, especially for the younger generation. But gradually older folks are jumping on board. There is no turning back. Second, the longer we live with connected devices, social media, mobile phones, etc. the more “normal” our distracted state becomes. We become numb to the side effects, and even forget that an undistracted life is possible. Third, this much distraction is bad for us. The longer we study this subject the more we realize that distraction is hurting our brains, our relationships, and our joie de vivre. “Recently my research team observed 263 middle school, high school and university students studying for a mere 15 minutes in their homes. We were interested in whether students could maintain focus and, if not, what might be distracting them. Every minute we noted exactly what they were doing, whether they were studying, if they were texting or listening to music or watching television in the background, and if they had a computer screen in front of them and what websites were being visited. In order to figure out what is essential we need designated times and spaces in order to think. These must be free from other obligations and distractions. The d.school at Stanford and their thinking spaces. Jeff Weiner CEO of LinkedIn schedules 2 hours everyday where nothing is planned. Bill Gates habit (think week) of taking 2 weeks off each year to read and think. Often our distracted schedules and frenetic pace prevent us from having time to think and reflect. How would you rate your life and schedule in this regard? Does the idea of carving out time for this seem like a reality in your life? Frank O’brien sets aside one day per month for his employees to get away to think and reflect. This helps them maintain a level of clarity and innovation. Availability for this is also a barometer for him to understand his work force. “If somebody can’t make the meeting because of too much going on, that tells me either we’re doing something inefficiently or we need to hire more people.” What does this barometer say about your life? It is often difficult to make time and space for reflection because of our daily demands. We get caught up responding to needs and emergencies that we cannot extricate ourselves to improve the systems and organizations behind the emergencies. Which parts of your weekly/monthly schedule keep you from time to reflect? What is keeping you from scheduling uninterrupted time for peaceful reflection? Do you have a place where you can “escape” and think? How well is this working? List 3 possible locations you can use to escape the calls, tweets, emails, and emergencies that keep you from time to reflect. According to McKeown, “focus is not only something we have, it is something we do.” What keeps you from “doing” focused work? Make a list of the top 5 interruptions and distractions in your life and business. What can you do to get several hours away from these top interruptions and distractions from #6? Does technology distract you? What aspects of your connectivity hinder you from the most important things? (smart phone, social media, email, voicemail, etc). McKeown tells the story of the highly distracted executive that just couldn’t disconnect. In a moment of desperation he decided to give his phone away and to go to a motel with no internet access to get work done. He stayed there for 8 weeks until the major project was completed. What major project or life goal could you accomplish if you were willing to get away for just a day or two? Explore this idea before moving on. 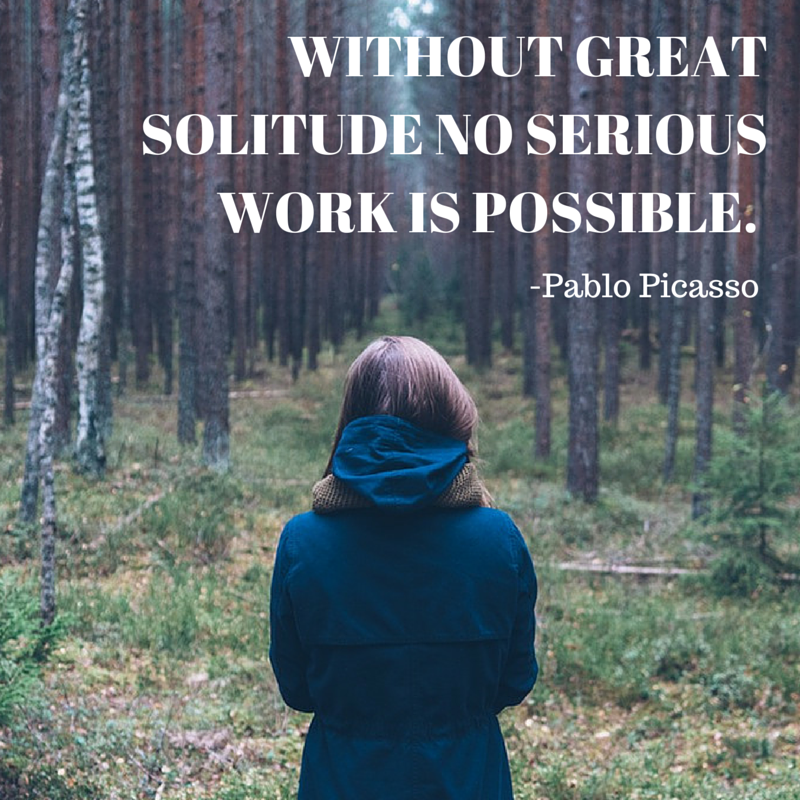 What nonessential things can you give up so that you can schedule regular (weekly/monthly) time for solitude and reflection? List something to give up or “quit” this week for a higher purpose. Jeff Weiner of LinkedIn said his single most valuable productivity tool was planning 2 hours every work day where nothing else was scheduled. (p. 68) Right now take a moment to dream (in writing) about how your life and work would change if you did this? What can you imagine would happen to your stress level? To your focus? To the way you treat others? To your productivity? Whether you take a whole day or week off to read and think, where can you build in a small amount of time to enrich your mind and soul through reading and thinking? List 3 books/articles that can help you understand your life/business/market better. Take a moment to write out what the potential benefits of this. If you can’t think of any, write down the names of 2 people you can talk to for suggestions. What will you ask them? Scott Gilmore was getting fed up with the hamster wheel of always buying new things, especially technology. This is the natural consumer response to planned obsolescence and the social pressure to have the newest device. We don’t intend to do it, but after a while find ourselves carried out by the tide. And before we know it we are a long way from shore. He decided to take a consumer “fast” and not buy anything he didn’t really need. It sounds like the experience was helpful and he saved some money. But what he found was interesting. He didn’t find meaning and fulfillment in all the stuff and technology. He also didn’t find it in the absence of all the technology and stuff. If we want to satisfy the deepest hungers of the soul, neither trinkets nor self discipline will do the trick. We need the Bread of life. via The box is empty: On iPhones, religion and disconnection – Macleans.ca.